South Korean military says it has long watched North Korea’s ‘unreported’ missile base. The South Korean military said Thursday that Seoul and Washington have long monitored a North Korean missile base that a US media outlet described as an unreported facility capable of launching a long-range ballistic missile. Citing satellite images and analysis from a private think tank, CNN reported Wednesday that the Yeongjeo-dong missile base and a nearby site — previously unreported — remain active and have been continuously upgraded. The South Korean government, which dismissed previous US media reports about North Korea’s undeclared missile bases as “nothing new,” said the Yeongjeo-dong missile base has long been on the surveillance list of the South Korean and US militaries. According to intelligence officials in South Korea, the North has been operating a missile base in a border town close to China. 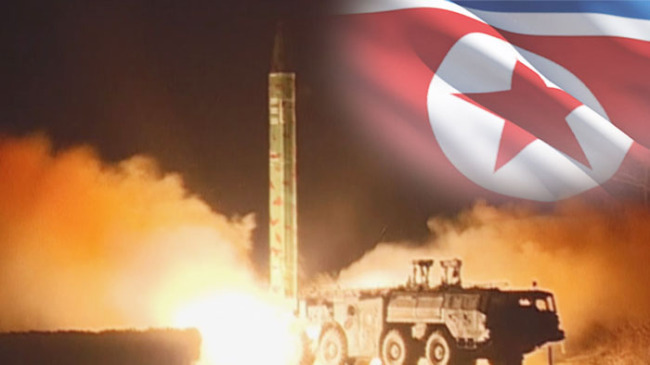 Dubbed the “Yeongjeo-ri base” by Seoul officials, North Korea is said to have deployed medium-range ballistic missiles at the site. CNN said while the missile base has long been known to US intelligence agencies and analysts, the satellite images show construction on a new facility just miles away from the older site that had not been previously publicly identified. The Middlebury Institute of International Studies at Monterey told CNN that the images indicate that North Korea was building an extremely large underground facility in 2017 and that this facility was still under construction as of August 2018. “Construction on the previously unidentified site has continued even after the Singapore Summit” between North Korean leader Kim Jong-un and US President Donald Trump in June, Jeffrey Lewis of the Middlebury Institute of International Studies at Monterey told CNN. The site was one of what the US media claimed as “undeclared” missile bases that demonstrate Washington’s doubts over Pyongyang’s willingness to completely abandon its nuclear and missile programs. Washington-based think tank Beyond Parallel said in a report last month that it has identified more than a dozen undeclared missile bases. Citing the report, the New York Times suggested that North Korea has been deceiving the US since the Singapore summit.